The NEMA card detector (TD424N) is compliant with VicRoads and the R&TA (NSW) specifications for use in Australia with SCATS Traffic systems. They meet the requirements of the Australian Standards and American NEMA TS1. Optimised sensitivity levels chosen for traffic control applications allowing adjacent lane rejection and elimination of adjacent lane interference. Adjustable presence times for operation in passage mode, limited presence or for queue detection. Loop-fault monitoring with faceplate indications of loop faults on a per-channel basis. Sequential Polling techniques to positively eliminate crosstalk between loops. 2. “Auto-retune” to protect against faulty loops in multiple loop configurations. 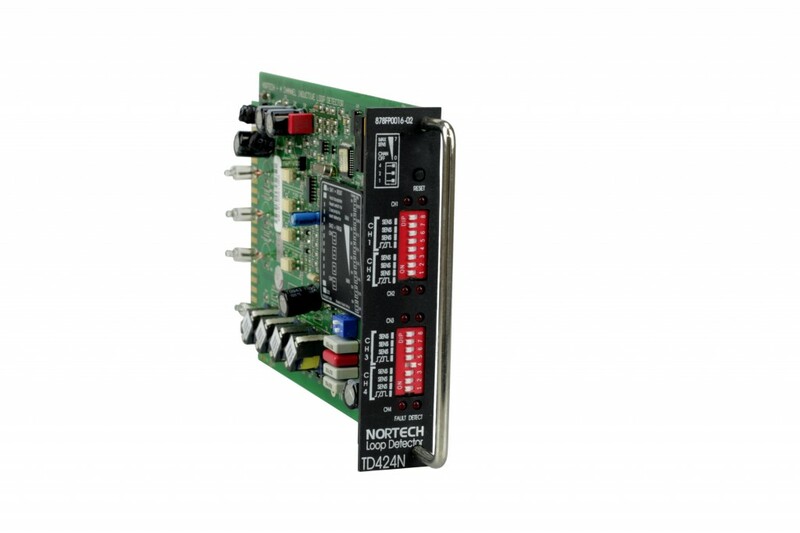 Relay Outputs: 1 A @ 230 V AC Single change over contact per channel.